Built for one thing in mind. Catching fish in the large swift and turbid rivers of my native Northwest. The name "Mykizha" is the native Kamkathcan word for the Steelhead trout. It is where the Mykis comes from in the scientific name for Rainbow Trout and Steelhead. 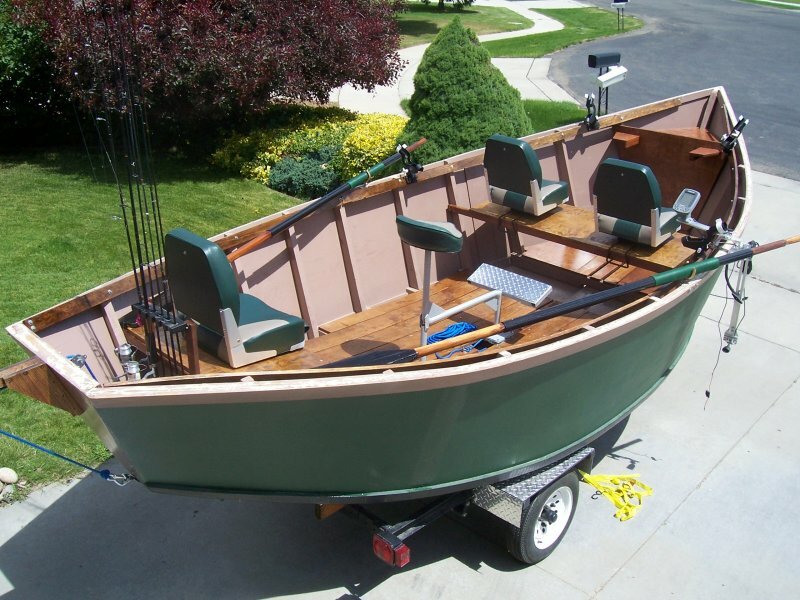 The boat was built with help from my dad and the add on design was a father and son project. All the wood in the boat was harvested in Pacific Nothwest, with the plywood comming from a mill on the Mckenzie river itself. A unintended tribute to the boats original style.